So, what is our reader dealing with? Based on the pictures and the information our reader provided, we think he is dealing with several different types of bugs. We believe the first two specimens he found are a carpet beetle and a carpet beetle larva. 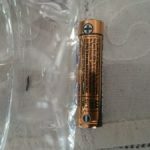 These are extremley common household pests that readers deal with all of the time. They have a wide range of potential food sources and so can be found in many rooms throughout a home. 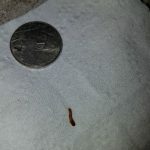 Getting rid of carpet beetle larvae requires removal of their primary food source and intense cleaning. We believe our reader should start the investigation in his closet, since that is where he found the larva. 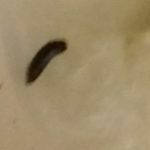 If he would like more detailed information about handling a potential carpet beetle larvae infestation, he can check out any of our various articles on the matter. Now, on to the other creatures our reader is dealing with. 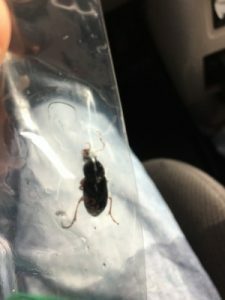 We believe the third photo he shared with us is of a cockroach, as he suspected. 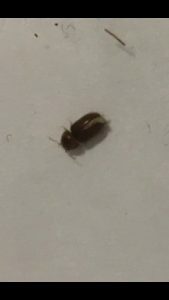 Like carpet beetles, cockroaches are also common household pests. They seek out homes that have plenty of moisture, darkness, and warmth. 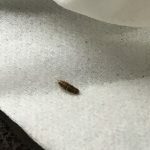 As with carpet beetle larvae, getting rid of cockroaches comes down to cleaning. 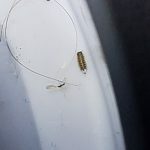 So, our reader can kill two birds with one stone and eliminate both pests from his home by following an intense cleaning regime. In addition, our reader can take a few steps to prevent future unwanted specimens from getting into his home. Since most household pests are tiny, they can sneak through small cracks and gaps in between windows, doors, and ventilation gaps. Sealing up these gaps will prevent specimens from crawling in. Also, our reader can install a dehumidifier, which will reduce the moisture levels and generally make his home less hospitable to pests. Finally, clearing away debris and leaf litter from the perimeter of his home can help to reduce the number of creatures hanging around outside, and therefore reduce the chance of them sneaking in. We have discussed all of the specimens that our reader sent photos of, but he also mentioned the presence of little flies in his bathroom. Without a photograph we can’t confirm with absolute certainty, but we think that these could be drain flies. Drain fly larvae are common household pests that live and breed in the organic matter that builds up inside a drain. 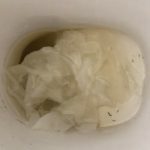 We don’t know if these drain fly larvae are residing in our reader’s toilet drain, shower drain, or sink drain, but we recommend cleaning all three. Since he mentioned that his apartment is suddenly crawling with specimens, cleaning all three of these drains will be a good way to ensure he is eliminating all drain flies from his home. 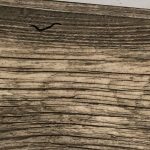 For more detailed instructions on how to properly clean to get rid of drain flies, our reader can check out this article. To conclude, one of our readers reached out about several different specimens he discovered in his apartment. We have identified these creatures as a carpet beetle, a carpet beetle larva, a cockroach, and probably drain fly larvae. We don’t know why these specimens have all shown up at once, but we believe the best way to get rid of them is for him to begin a thorough cleaning regime! 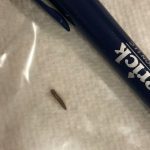 One of our readers reached out about several different specimens he discovered in his apartment. 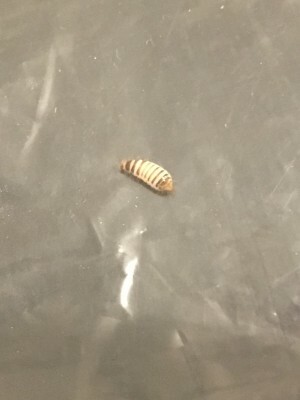 We have identified these creatures as a carpet beetle, a carpet beetle larva, a cockroach, and probably drain fly larvae.